The cloud-based SaaS solution allows fuel jobbers and wholesalers to digitally manage and monitor fuel logistics from ordering to invoice reconciliation. 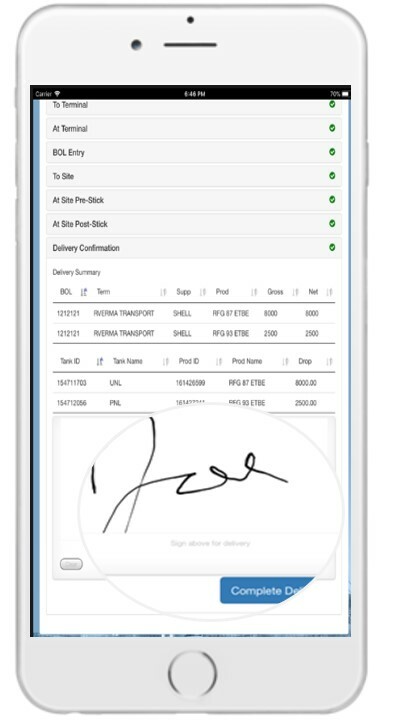 Featuring advanced drag-and-drop functionality, DeliveryInsite digitizes not only the ordering and dispatching of fuel loads, but also the production of bills of lading and delivery tickets. Go paperless throughout the ordering, delivery and reconciliation cycles. Insite360 is a leading supplier of fuel management solutions in the retail and wholesale fueling industry. Our products enable global, national and regional retail and commercial fueling operations, fuel wholesalers and supply chain members to accurately monitor fuel inventory, optimize fuel logistics and pricing, manage environmental compliance and optimize equipment performance. Our portfolio of cloud-based solutions includes: DASH, AVA (Advanced Fuel Variance Analysis), and Fuel Center.